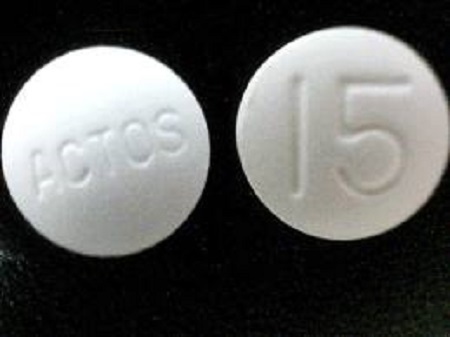 On July 15, 2015, an Ohio resident and his wife filed an Actos bladder cancer lawsuit against both Takeda Pharmaceuticals and Eli Lilly, Inc. alleging severely inadequate warnings as to the increased risks associated with the Type II diabetes drug. The lawsuit, which was filed in United States District Court for the Western District of Louisiana, is one of thousands of pending cases against both companies – which previously worked together on the promotion of the drug but have since parted company. Earlier this year, Takeda agreed to pay nearly $2.4 billion to settle claims alleging bladder cancer. The proposed Actos settlement is one of the largest pharmaceutical settlements in U.S. history. The actions, consolidated as part of multidistrict litigation No. 2299, are pending before the Honorable Rebecca F. Doherty, a judge with considerable experience handling complex product liability cases. Presently, the next status conference is scheduled for September 15, 2015, at which point the parties will convene to discuss the progress of unresolved lawsuits. According to the factual allegations set forth by the Ohio plaintiff, he was prescribed the drug Actos in November, 2006. He was subsequently diagnosed with bladder cancer, which was confirmed by cystoscopy in June, 2014 – which he asserts is directly and proximately linked to his use of Actos for greater than 12 months. Third, the complaint includes information relating to a two-year liver study that revealed the increased onset of bladder cancer in Actos users. None of these studies, according to the plaintiffs, were revealed to the general consumer base during the promotion of Actos, the defendants have allegedly failed to warn patients and doctors of the dramatic increased risks of harm. Individual to the victim’s spouse, a claim of ‘loss of consortium’ was also alleged against the defendants, including the assertion that she has been deprived of the care, concern, affection, and compassion of her spouse during his bout with bladder cancer. The plaintiffs are demanding unspecified damages in excess of $75,000, and have demanded a jury of six to determine liability on the issues.